It takes some time to adjust to progressive lenses. There is always a period of adjustment with new eye glasses, but there's even more with progressive lenses. 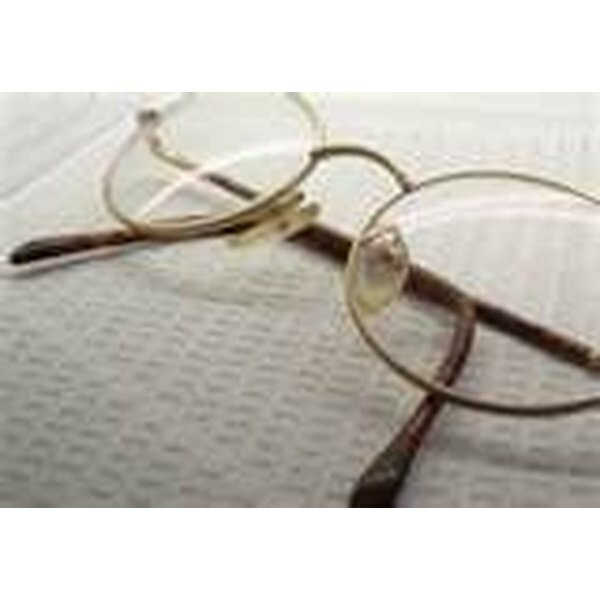 Progressive lenses (also know as no-line bifocals or graduated lenses) provide two or more lines of vision in one pair of eyeglasses. Listen to your eye doctor. The eye doctor will instruct you on how wearing progressive lenses differs from single vision eyeglasses. Point with your nose and adjust with your chin. To optimally see in progressive lenses, adjust your field of vision by pointing with your nose at what you want to look at. Then adjust that by moving your chin. This will allow you to focus on what you want to see more clearly. At first, this seems awkward but it is how eyeglass wearers tend to focus and it will become second nature after a few weeks. Return to the eye doctor for adjustments. The line of sight needs to be aligned with the wearer's pupil for the field of vision to work properly. This may take a couple of adjustments. Get the frames adjusted. If your new eyeglasses with progressive lenses don't feel comfortable or your vision is sometimes blurry, return to your eye doctor and ask for adjustments. Try getting larger nose pads and having the frames around the ears adjusted so they feel comfortable on your head and face. Take a pain killer. Often, new eyeglasses have a much stronger prescription than you are used to and this can temporarily cause headaches. Along with getting used to progressive lenses, it may make sense to take a pain killer, such as Tylenol, Ibuprofen, Advil, or the like to get through the first few days or week. Progressive lenses are expensive. Make sure you can see properly after you begin wearing them.